If you haven’t heard of Handshake yet, where have you been? Handshake is Ohio University’s new platform that helps students search for career opportunities. 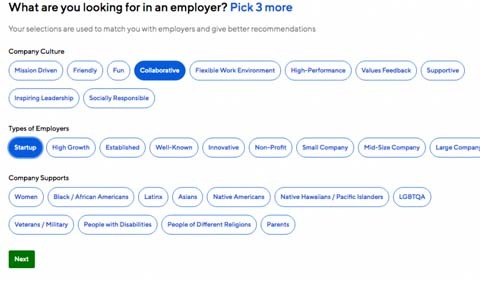 It’s used by over 250,000 employers and all Fortune 500 companies, so your chances of finding the perfect company that encompasses everything you are looking for in a career. Not only can you find career opportunities, but you also can schedule career development sessions with the Career and Leadership Development Center. As a student myself, I found this extremely helpful when searching for internships and getting tips to perfect my resume. Honestly, they couldn’t have make it easier for us. All you have to do to sign up is type in your OHIO email then you’re ready to start personalizing your search for your dream job. What I love the most about Handshake is the questions you answer in the beginning. You get to chose all of things you could ever want from a job from the location, to what a specific company values the most and everything in between. For example, if you want to work for a startup company who values a supportive environment then you can find just that. After you create your account using your OHIO email, you are brought to your profile where you can see all of the university events and career fairs coming up. This is a platform where you get to sell yourself to employers and reach out to professionals in the fields that you are interested in. To beef up your Handshake account, I would recommend uploading your resume and entering all of your work experience. You can also add the activities that you are involved in at Ohio University. You can even put on portfolio pieces that employers can look at. That puts you one step ahead of other people who need to be asked to give their portfolio pieces. As a student who is approaching graduation, Handshake has helped me learn about companies I would want to work for. Making connections with professionals in your desired field is crucial, but luckily we have Handshake to help us. All in all, I found signing up and filling out my profile with all of my information very easy and straightforward. I love that I get to choose what I value most in a company and Handshake finds the companies that fit. I am a big advocate for getting people to review your resume and cover letters. I believe there is always room for development, so I am always getting advice on how to make my professional work better. Handshake is the avenue to schedule appointments with experts at the CLDC who help me get my resume and cover letter where it needs to be in order to impress employers and get hired. Don’t waste anymore time and sign up for Handshake. Your professional life is worth it.